Jasan_CZ had the most liked content! 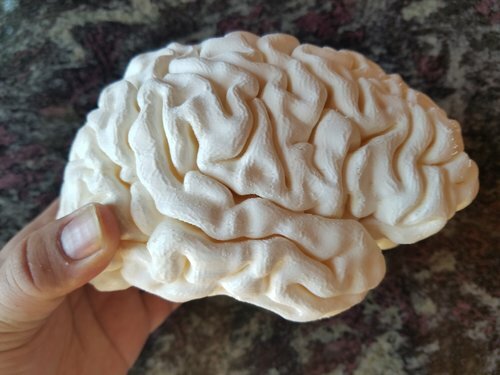 Nice model of brain. It definitely needs supports. The printing on Prusa i3 MK3 consumed almost whole 1kg of filament and 90hrs of time (PLA filament 1.75mm, OPTIMAL print 0.15mm, with supports). Unfortunately I chose supports above the pad only, not everywhere, so there are some ugly places above the temporal lobes. It is a pity that the cerebellum is missing. Thanks!